Facial hair isn’t something that us girls don’t like to talk about – it’s pesky, annoying and unsightly. To keep it at bay we wax, tweeze and epilate, all of which are time-consuming and painful tasks. Luckily for us, there’s a new product on the market for removing facial hair – the Facial Hair Remover, and it’s amazing. 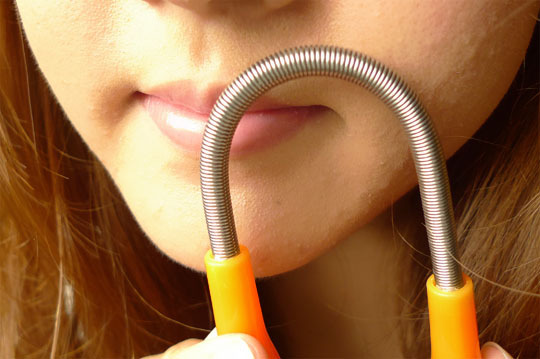 This simple product – a coiled spring lodged between two rubber handles, can be bent into an inverted U-shape, and then used to remove hair from the cheeks, chin and forehead. All you need to do is roll the U-shaped remover outwards across your skin and you will see the hair starting to fall off. It might be very simple, but this is one hair removal device that gives fantastic results. You can pick up your Facial Hair Remover from the All Beauty online store. 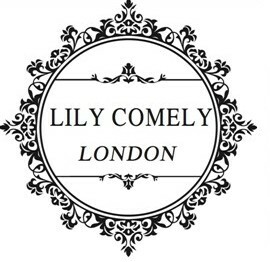 If you choose to buy your removal device online, don’t forget to use the All Beauty discount code to reduce the price. The best way to describe the sensation of this handy device is that it’s similar to threading. However, compared to getting your facial hair threaded, using this device is less painful and more effective. It’s a little prickly, but so worth it. There’s nothing worse than spending hours creating the perfect smokey eye only to blink and leave a trail of mascara marks across it. You have two options; wipe it off and risk ruining your beautiful eyeshadow or go out looking like a dalmation – every girl’s nightmare scenario. Of course, if you use a mascara guard, this situ can be avoided altogether. A mascara guard is a plastic piece which fits along the outer edge of the eyes, protecting the skin, including the lids, from mascara marks. Pretty cool, right? If you’re someone who always splatters mascara, this is one beauty tool you have to invest in. The shield also comes with a double-sided comb that can be used to separate your lashes after applying your mascara, to prevent them from sticking together. Every girl knows there’s nothing worse than clumpy, stuck together lashes! Hair and makeup definitely do not mix. That’s why, when you are applying makeup, it’s crucial that your hair is out of your face. There’s almost nothing worse than getting foundation in your hair. To keep your hair makeup-free, most of us choose to use a hair band, grips, or clips, to pin our hair. However, a much easier option is using a velcro hair accessory that can be stuck to your hair to gently but firmly hold it in place. 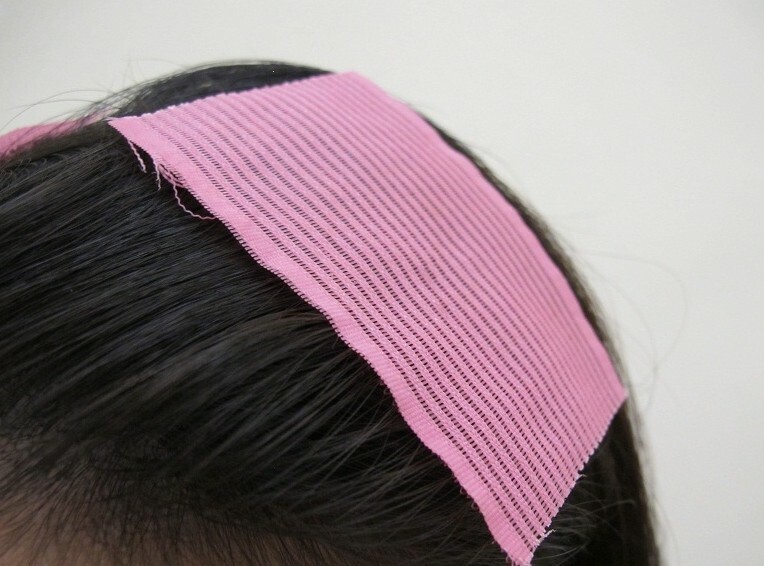 The idea of putting velcro on your hair might sound like a strange idea, but it’s actually an amazing invention. It works well, is easy to use, and best of all, is affordable. Plus, unlike grips and clips, it won’t leave your hair with any kinks in it. This might sound like a strange one but eyelid tape can be incredibly useful. For some people, most commonly people of Asian descent, the flatter, bonier structure and the extra fat under their lids, leaves them with a crease too close to their lash line, or in some cases, no crease at all. 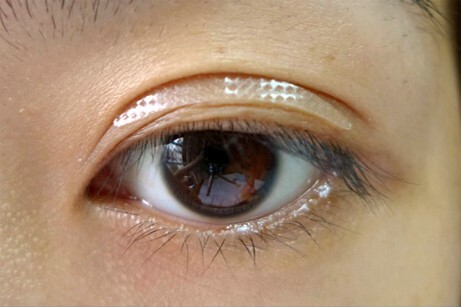 Most people with this problem, use eyelid tape to create a double lid. 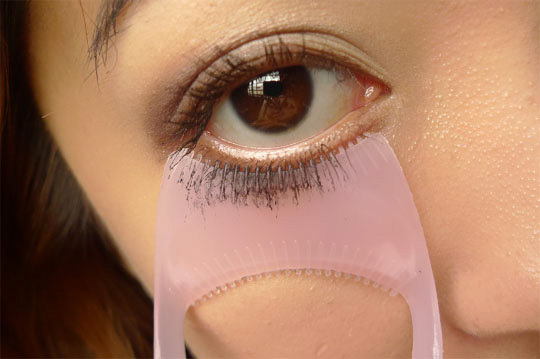 Double eyelids tend to be easier to work with when it comes to applying eye makeup, and because of this, eyelid tape has become increasingly popular. Pretty amazing, right? Eyelid tape is available in two forms: 1) pre-cut form and 2) roll form. Pre-cut tends to be easier to use, but the type you opt for is up to you. Most of the time, when we’re doing nail art, we use tweezers to place the stones onto our nails. Of course, the problem with this is that often, the stones slip or turn upside down as we place them onto the nail, leaving us with nails that are mess. 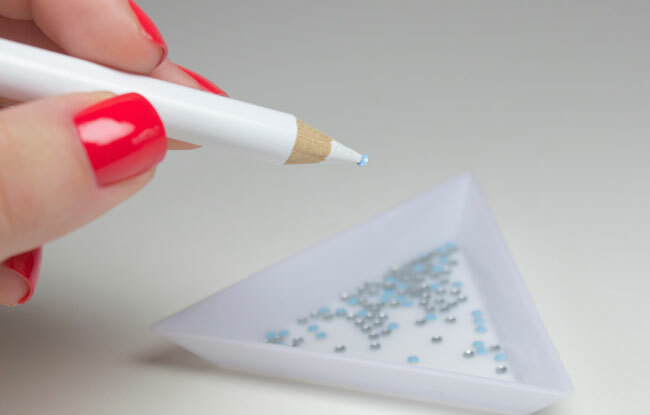 Instead of using tweezers or toothpicks to pick up nail gems, try using a grease pencil – aka a China Marker. Originally made for handymen and builders to write on glass and ceramics without causing damage, these pencils are amazing tools. Made of a hard, non-toxic waxy substance, grease pencils are ideal for using to pick up rhinestones for placing on nails. Who would have thought that such a simple object could be a beauty essential? 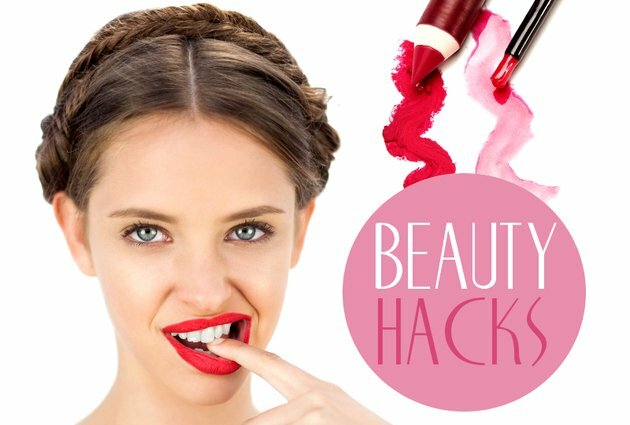 And there you have it, five innovative and useful beauty tools that will amaze you. I’m truly experiencing and enjoying the design and layout of your website. 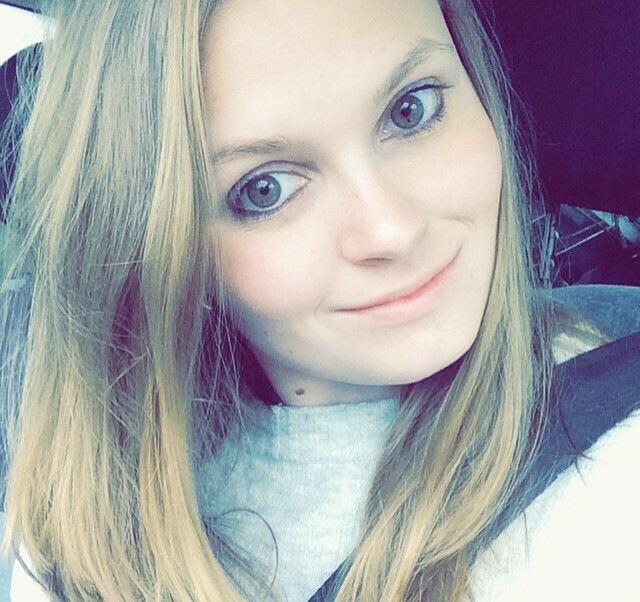 hire out a developer to make your theme? Superb work!